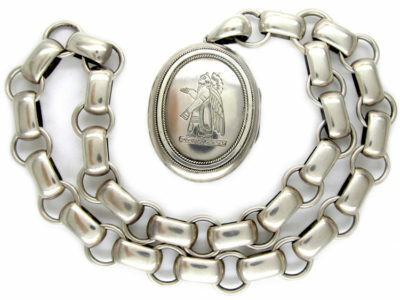 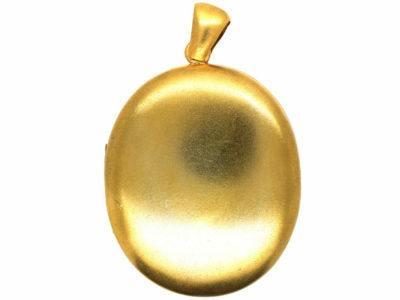 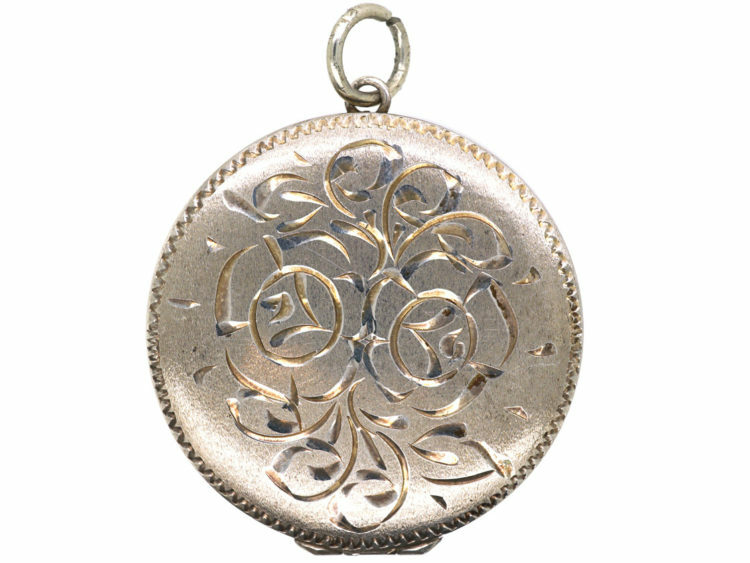 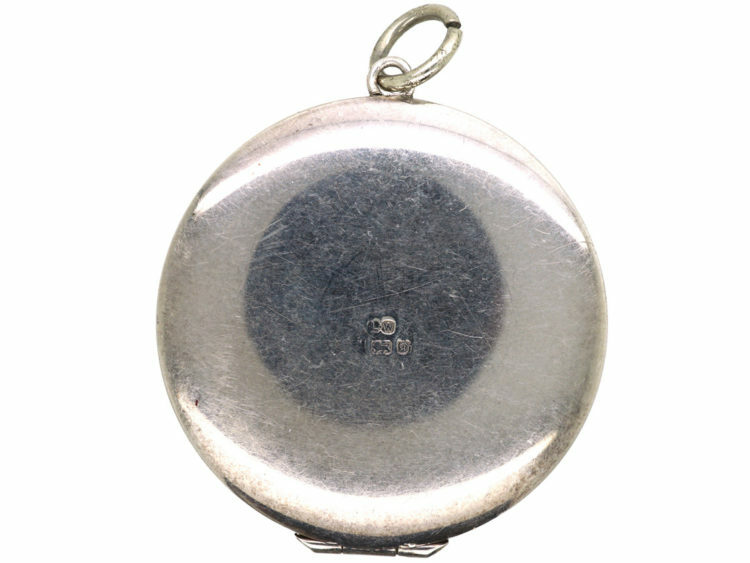 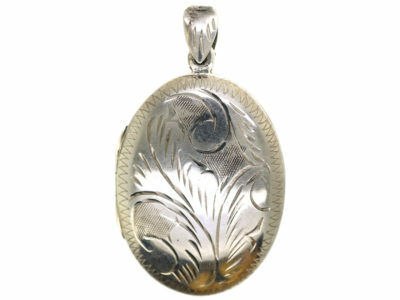 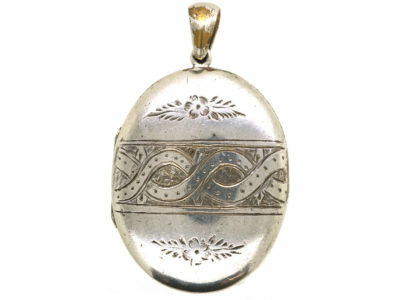 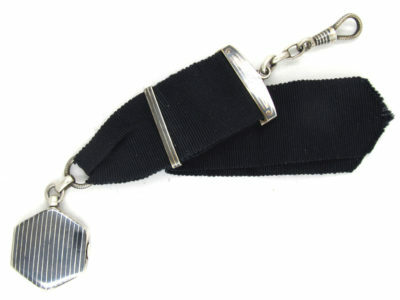 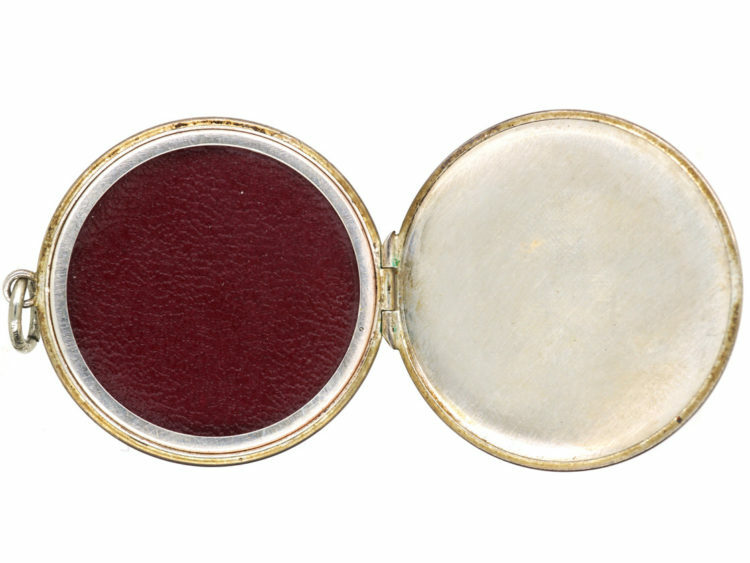 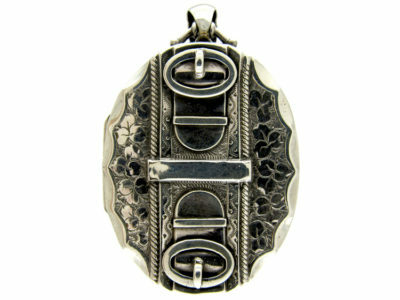 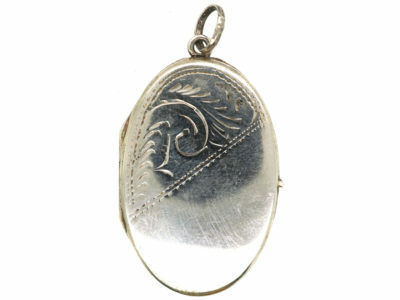 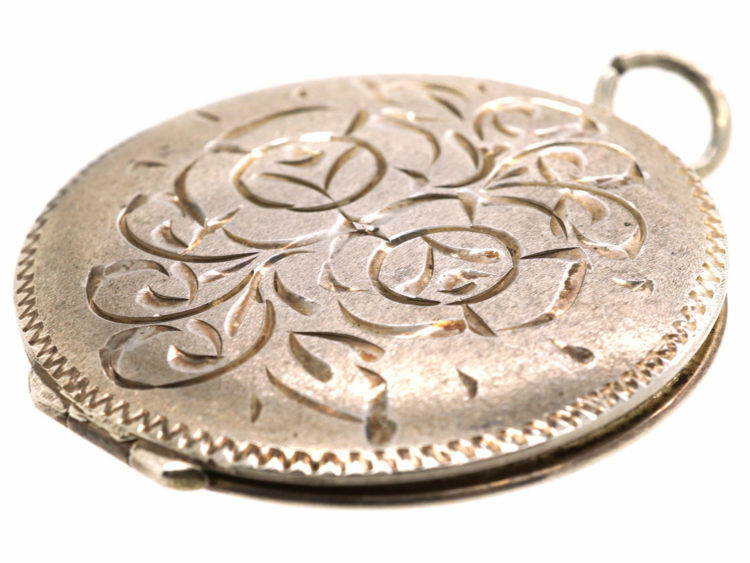 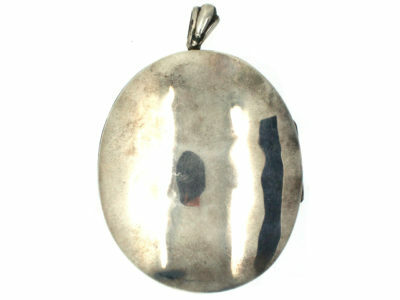 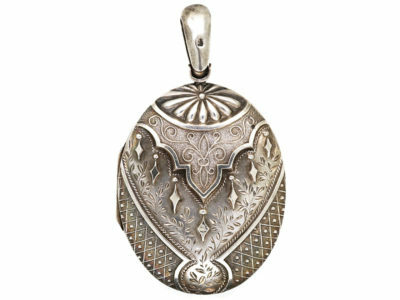 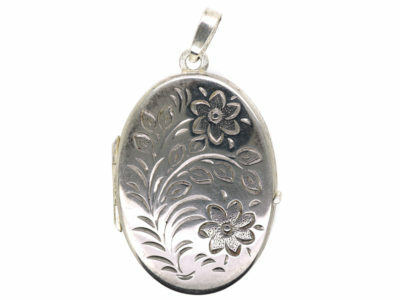 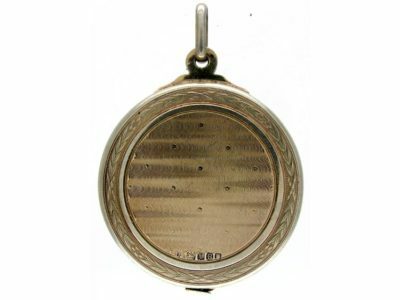 A pretty silver locket that was made in Birmingham in 1978. 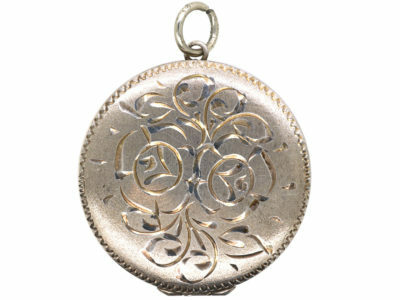 It has been acid and bright cut etched with a roses motif for “Love”. 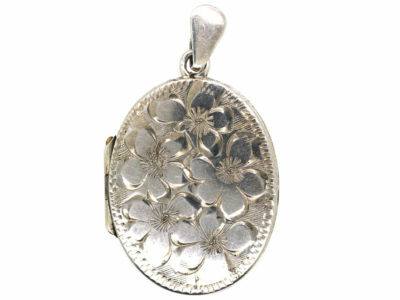 It will certainly last longer than a bunch of red roses!